Popular known as the main party island in Europe, Ibiza is the place to go if you want to take a break and forget about all your responsibilities. 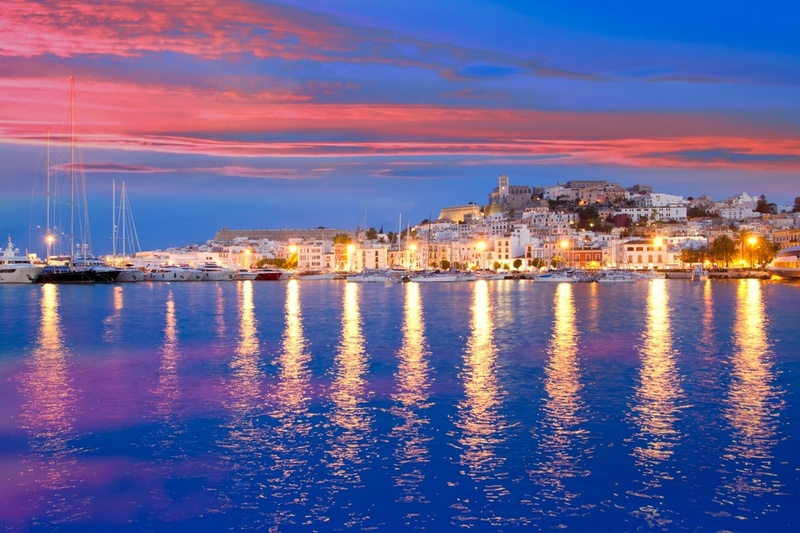 Ibiza nightlife offers a wide range of opportunities, prepared to please everyone tastes. Most of the discos in Ibiza are located on the outskirts of the city and open every night from the 15th of June until the 15th of September. Especially in summer, Ibiza remains the best place to dance until dawn. There is a large number of night clubs and pubs to discover in this island, the list is never ending, so here you will read a small reference of the clubs you can visit, but don't forget there are plenty more! One of the most popular places to go out is Pachá. This night club is the nearest to the Ibiza town centre. It is open all year long and the entrance is around 35 euros. It was founded twenty five years ago and is mostly frequented by young people. Inside you can go to the café in the terrace, where you can appreciate great views of the city. Amnesia is another popular night club in Ibiza. It is a huge disco built around a rural house that opens its doors from midnight until 7 a.m. It can hold up to 5,000 people and it has a young and lively atmosphere. If you want to know more about the different events that take place there, take a look at its website, available in English, where you can check the agenda. There is an entrance of around 45 euros. If you are looking for a more relaxed ambiance, to drink a cocktail while regarding the nice views of the Mediterranean Sea, Ibiza has also a lot of options where to chose. One of this lounge bars is Sands Beach. Located in the D'en Bossa Beach sand dunes and with incredible views to the Mediterranean Sea, Sand Beach offers you a relaxed ambiance where you can talk and meet nice people while drinking and eating with the best quality. As above mentioned, these are just few examples of the huge nightlife Ibiza offers its visitants. It is up to you to discover your perfect place to have a drink! There are several free magazines that can be of your interest if you want to know which options you have in this fantastic island.